Mazda is moving forward with the development of the internal combustion engine yet again. 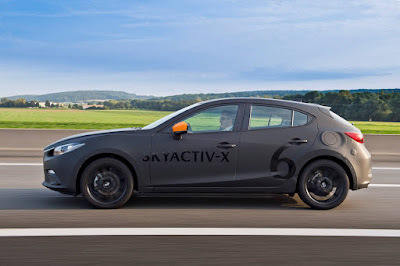 While Skyactiv-X already seems like the “Holy Grail” of internal combustion engines, the automaker is looking at yet another next-generation technology which will make them even more fuel efficient. Starting today, Mazda is opening up a joint research project with Japan’s National Institute of Advanced Industrial Science and Technology (AIST) to research and develop a next-generation high-efficiency engine. Rumored to be “Skyactiv Generation 3,” this engine is said to reach thermal efficiency of more than 56 percent—a 27 percent jump over the current Skyactiv-G.
Partnering with Mazda and AIST with this project is Saudi Aramco which will develop a fuel with a refinery process that results in lower carbon dioxide emissions. The initiative is expected to yield technologies aligned with Mazda’s long-term Sustainable Zoom-Zoom 2030 vision which aims to reduce carbon dioxide emissions on a well-to-wheel basis.